Working with an experienced attorney is critical for implementing a solid estate plan. 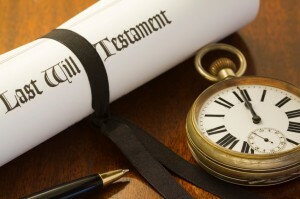 We can protect your legacy in the event of your death or incapacitation by creating a comprehensive and objective plan that is in line with current tax laws as well as lead you through the probate process. Estate Planning encompasses a collection of preparation tasks that distribute and manage someone’s asset base in the event of incapacitation or death. It’s important to use the services of a qualified, experienced attorney during this process to protect against any problems that might arise from a lack of proper planning. Even though many people understand the importance of estate planning, many simply don’t follow through. Not being prepared can have devastating consequences for the life that you’ve built and those left behind. Designate the family members and loved ones that you wish to receive your assets after your death. Avoid the time, costs and headache of probate court. Outline your wishes regarding medical care in case you are incapacitated. Reduce the time and legal hassles during distribution of property to those you’ve designated. Appoint care for any minor children. It’s important to have a comprehensive understanding of what is right for you and your particular needs. A good estate planning lawyer will help to outline a solid plan and understand your options. Wills – The most common way for you to outline the distribution of your assets after death is with a will. They can effectively help to reduce the burden of taxes, divide assets and designate who will receive them, give instructions regarding minor children, gifts, and even the formation of posthumous trusts. It is critical that such a document follow legal rules in order to be valid. Trusts – Trusts can replace or be created in addition to a will. They can be used to help manage property during life by transferring the benefits and obligations to others. Forming a trust has a number of advantages and there are different types to fit your needs. Unlike a will, a trust is private and avoids probate. Consult with a qualified estate planning attorney to understand if a trust would be an effective part of your estate plan. Power of Attorney – If you should become unable to manage your own affairs, power of attorney designates an agent to act in your behalf. This kind of advance directive can designate what kind of health care you would like to receive in the case of incapacitation. The court process of assessing and administering the estate after someone’s death is called Probate. When a will is contested, it is crucial to involve the counsel of an experienced lawyer. Contact Estate Planning attorney Vaughn Davidson for a consultation regarding all of your Estate Planning and Litigation needs. The best time for expert Estate Planning is now. The Law Offices of Vaughn W. Davidson PLLC can help you to identify your goals and make objective choices regarding difficult decisions such as guardianship and distribution of assets. To speak with an experienced estate planning attorney call (281) 421-5999 or fill out the contact form to the right and begin preparing today.